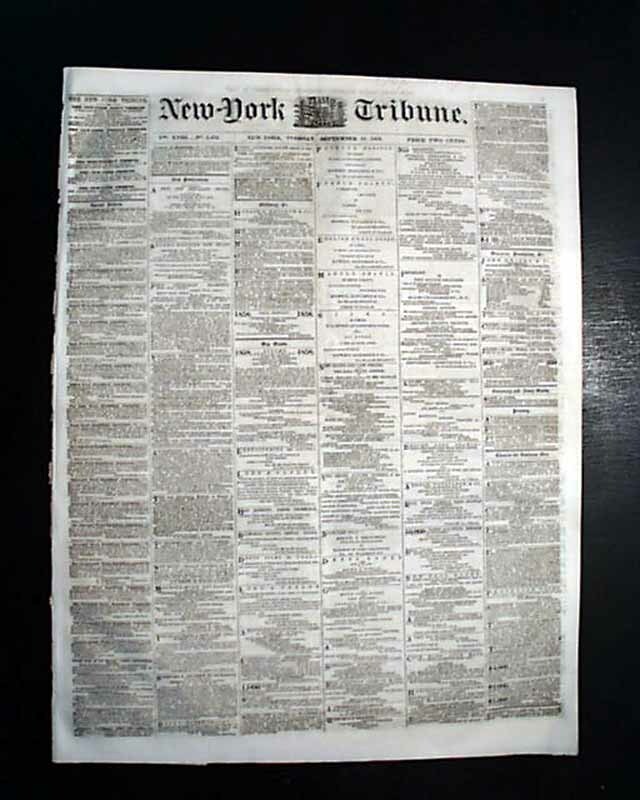 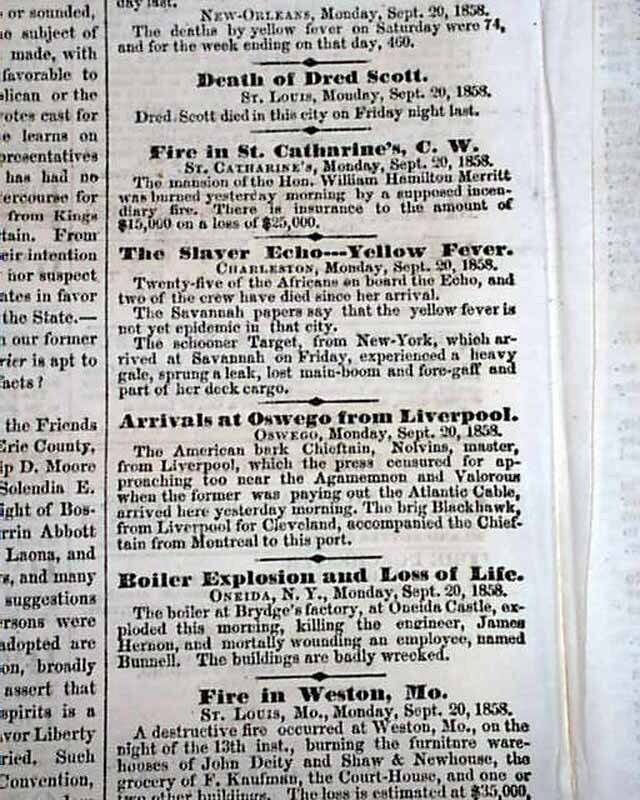 Page 4 contains a very brief, yet significant, report headed: "Death of Dred Scot" with the actual text not much longer, reading: "Dred Scott died in this city on Friday night last." 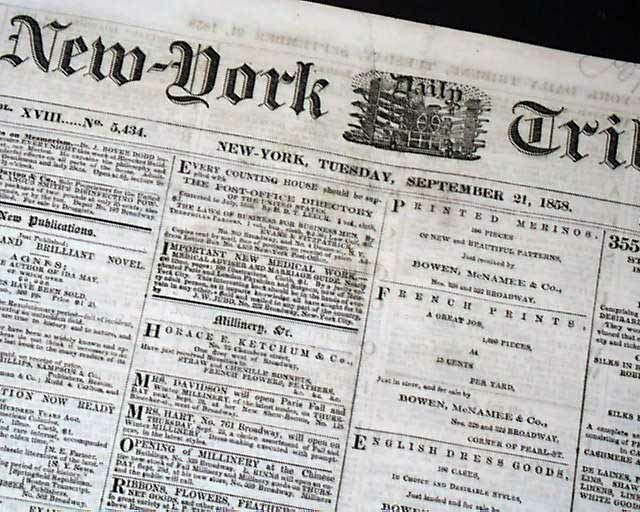 with a dateline of St. Louis, Sept. 20, 1858. 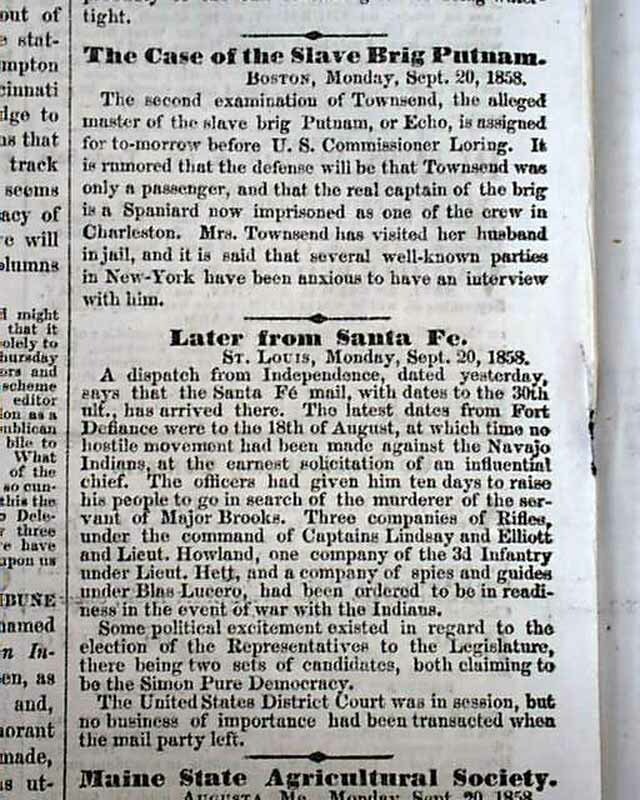 In the same column on this page is "Later From Santa Fe" "The Slaver Echo--Yellow Fever" and "The Case of the Slave Brig Putnam".